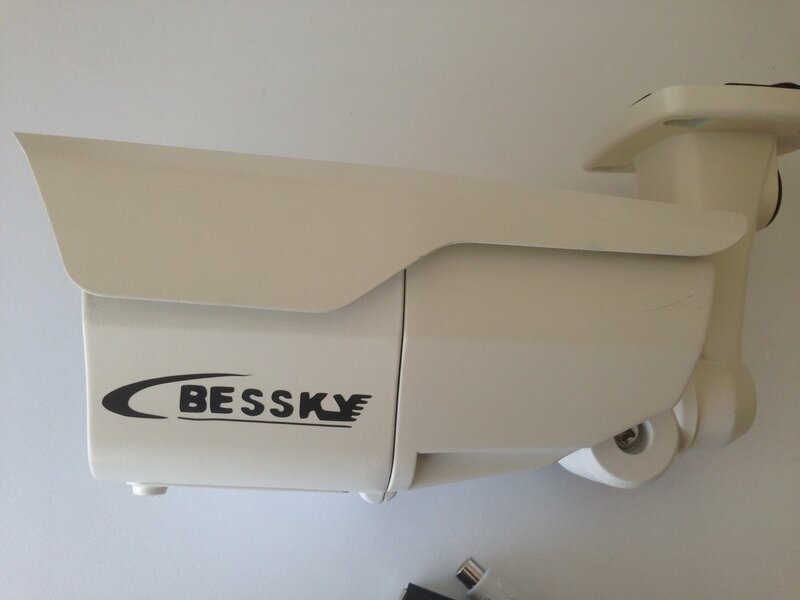 Bessky 4MP IP camera is designed for compressing, processing,and transmitting audio and video data. It can capture image and audio, process H.264 video data and G711 audio data which could be transmitted on internet, transmit real-time image and audio on network at the same time. H.264 High profile/M-JPEG video compression format allows image output resolution up to 2560×1440@30fps. It supports three simultaneous video streams, bi-directional audio and G.711 audio compression. Functioned with ICR day/night switch, motion detection, privacy mask, alarm input/output and local recording. Free Shipping for $100 or more purchase when you use coupon code "FEB2017"
Tracking #s will automatically be emailed to your email and your PayPal email address. Often times, these emails get redirected to junk mail folders so please check prior to emailing us. Please call us at 310-862-9199 with a link to the competitor's webpage. Store policy detailsWarranty » All our products are 100% original. WE DO NOT SELL CLONES OR COUNTERFEITS! Most products will come with a manufacturer warranty. If the product happens to be dead-on-arrival (DOA), we will replace it. Defective items will be replaced with the same item. You must notify us within 7 days of receiving the item either by phone or by email. Buyer will be responsible for shipping the product back to us and we will pay to ship the product back to the customer. Buyer must contact us for a RMA # (Return Merchandise Authorization #) prior to shipping it back. Packages without an RMA # will be refused and rejected.